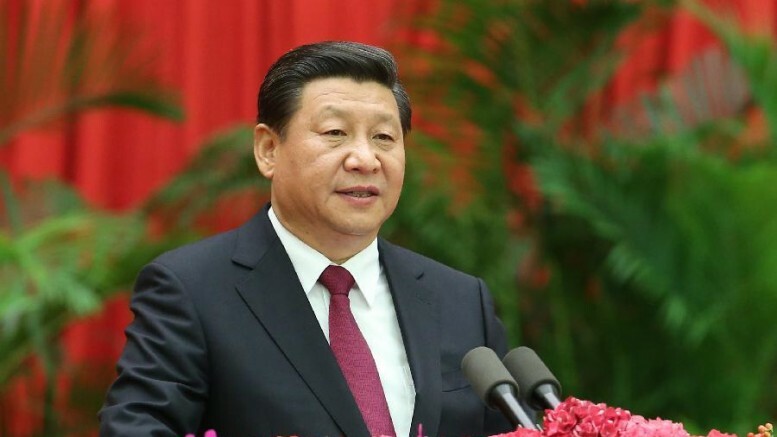 Is President Xi Jinping the "authoritative figure" who speaks on China's economy in a People's Daily article? As the Chinese economy entered a stage of “new normal,” there is a need for the central government to give detailed explanation, raise arguments and set the tone and stance on various new phenomenon emerged in the course of major economic transformation. On Monday, the official People’s Daily published an article in the form of an interview with an “authoritative figure”, which gives answers to a series of questions concerning the nation’s economy. The anonymous person said: “In a certain period of time, the Chinese economy will run on a L-shape trajectory.” Under a L-shape pattern, the economy will grow at a lower pace, and it will last for a period of time. This is the third time within a year that an “authoritative figure” has appeared on the front page of the People’s Daily, giving an account of China’s economic situation. On May 25, 2015, the newspaper carried a report headlined “Five questions about the Chinese economy”. On January 4, 2016, an authoritative figure was quoted in an article headlined “Seven questions about the supply-side structural reform.” This week’s article carries a headline: “Question about the overall economic situation in the first quarter”. It will not be possible for any government officials to make such straightforward and direct comment if their names are named. By stressing the “respective functions and rules of development”, the authoritative figure has indirectly ruled out stimulus measures to prop up the bourse, foreign exchange and property markets in order to boost the overall economy. For a period of time recently, speculation has been rife that the mainland authorities will relax restrictions over the purchase of the second flat by home buyers. In the stock market, there have been rumours that the authorities would “create a bull market” artificially. There have also been sharp fluctuations in the foreign exchange market. Underlying the abnormal phenomenon in the markets is the game plan of some people seeking to boost the domestic market through speculative activities in the markets. But the result has always been the same. It has created more serious after-effects without bringing about positive stimulating effect on the economy. The views of the “authoritative figure” are aimed to correct the wrong and to slam the market speculation recently. It is better for the Chinese government to explain the official policies through the mouth of officials, not “authoritative figure.” The Chinese authorities have given some important views through commentary articles in the People’s Daily in the past. They include the argument that bull stock market is conducive to economic growth and the view that the exchange rate of renminbi should not be overly low. The ambivalent identity of the commentaries made it difficult for people to ascertain the government’s policy intention. It is the responsibility of senior officials to explain policies and manage expectation. That should be done by officials in their official capacity. To float policy ideas through “authoritative figure” cannot be a good idea in the long-term. Be the first to comment on "‘Authoritative figure’ without name lacks credibility"